This section is for our Veterinary Partners. If you are referring a patient to APH please have your office fill out and submit the Patient Referral Form and discuss any pre-appointment directives with your client. 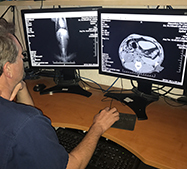 Our Diagnostic Images will be available to view as soon as possible, typically within 24 hours. Multiple diagnostic imaging studies for a patient may be available for viewing by entering the Patient-ID below. The Patient-ID may be located on patient records or referral summaries already provided. Please note that the Patient-ID must be entered exactly as it is written. 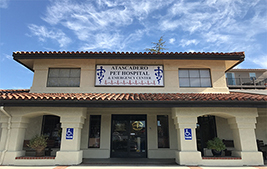 If you have trouble locating the Patient-ID please call us at (805) 466-3880 . Note that studies are not available immediately, however, most are available within 24-hours. 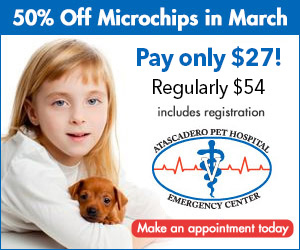 We are the largest small animal veterinary hospital in San Luis Obispo county, offering 24 hour emergency and critical care services for individuals and Veterinarian Doctors in our area. Our team consists of Eight full time Veterinarians, Vet Tech’s including nine Registered Veterinary Technicians and Client Service Technicians. We have a fully equipped Hospital and Surgical Room to accommodate a wide range of procedures. We have a Hyperbaric Chamber on site and a separate isolation facility. We have an In house Laboratory as well as fully equipped Diagnostic capabilities with Digital X-Ray, MRI, Ultrasound and CT Scan.